When you go skiing in St Moritz glamour and luxury are not the only things to discover. Though the rich and the beautiful like to come here in winter time, the ski resort is also famous for its numerous winter activities, for its warm ski huts, its snow and sun. St Moritz is one of the most important winter sports areas in Switzerland. Here you can find many miles of slopes at all difficulty levels. Not far away from the cozy chalets of St Moritz and Celerina a variety of broad slopes wait for the skiers and snowboarders, e.g. at the Munt da San Murrezan, at the Piz Nair or the Piz Schlattain where you can ski down to Celerina. 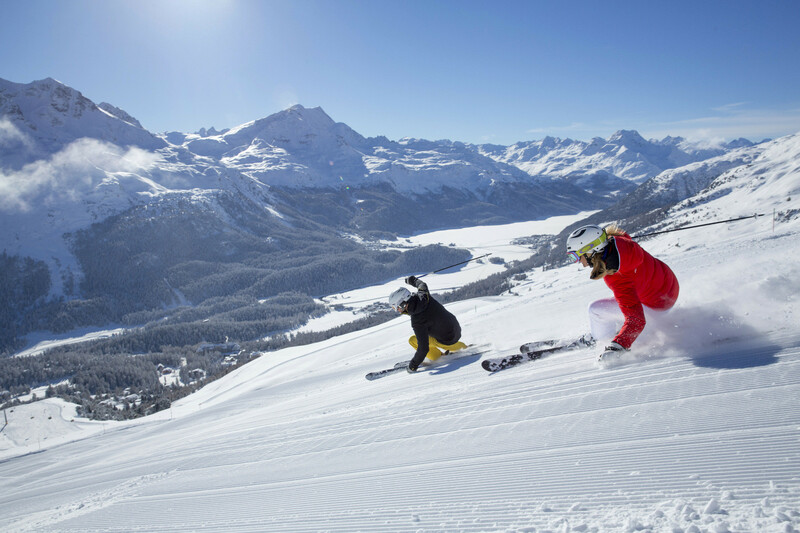 Beside the alpine slopes there are other winter attractions to be enjoyed in the ski resort St Moritz – Corviglia. One of them is the big snow park situated between Corviglia and Marguns. It comes with almost all obstacles you wish for as well as a half pipe and a quarter pipe. A ski holiday in St Moritz also means good conditions for Nordic skiing. The region even provides a cross-country ski run for night skiing. Furthermore there is a wide network of hiking trails to be walked on in the ski region St Moritz – Engadin. Get Snow Reports, Powder Alerts & Powder Forecasts from St. Moritz - Corviglia straight to your inbox!